► ANGOLA: TAAG boosts Dubai; looks to expand greatly in coming years. 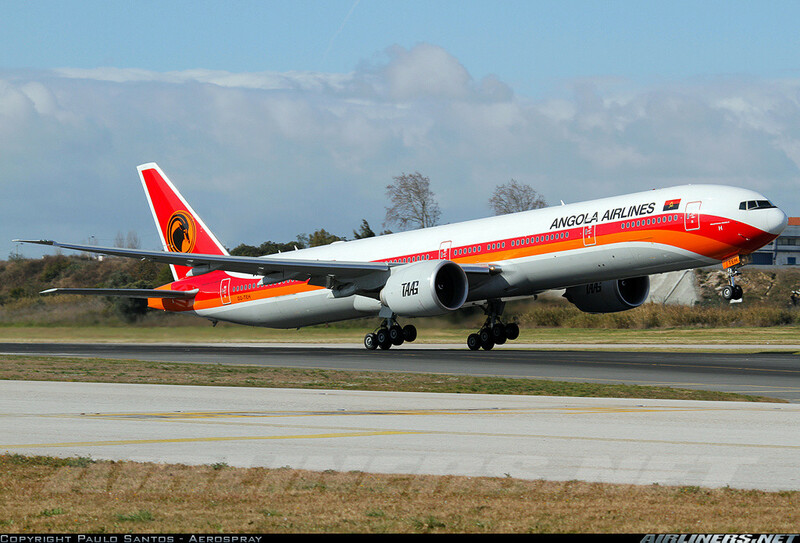 Angola's flag carrier TAAG Angolan Airlines (DT) has announced, that effective 10 September 2012, it will add a third weekly Wednesday frequency to Dubai from Luanda and it is also looking to further increase its international presence by opening new international routes to Frankfurt, Germany, Paris, France and an as yet undisclosed destinations in the US. 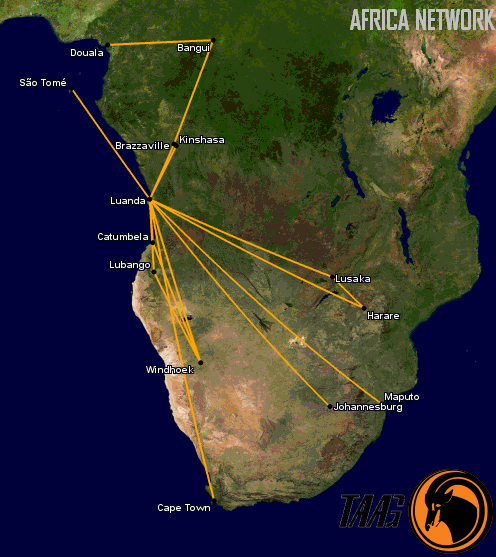 With Angola's growing regional importance, both as a trade route and as an economic hub - with its vast oil wealth to boot - so the need to establish a direct air link between the US and Angola has grown ever more crucial. At this time, the only airlink between the two countries is that of SonAir Angola operates the 3x weekly "Houston Express" from Luanda to Houston, USA using a leased Atlas Air Boeing 747-400 which caters more for the oil industry's needs than anything. Recently, Angola signed bilateral agreements with Argentina amongst which saw the Angolan airline opening a ticket office in Buenos Aires, that some see as being the first step in the opening of a future Luanda - Buenos Aires route. From 28 October 2012, Day 1/2 service operates with Boeing 777-300ER instead of -200ER. Meanwhile, ATWOnline reports that chairman and CEO of TAAG, Pimentel Araujo, disclosed that it plans to phase out its last three 737-200s and is considering acquiring either additional 737-700s, of which five are already in service, “or a lighter aircraft for some domestic routes,” he said. In January 2011, the airline retired its fleet of Boeing 747-300s to make way for the first of their Boeing 777-300ERs, of which another three are due for delivery in 2016. TAAG, in keeping up with international trends, also launched its own Frequent Flyer Programme called the "Umbi Umbi Club" which it will use to build a customer loyalty base.